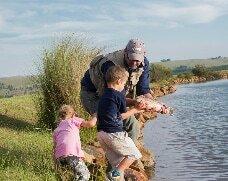 While the quaint and picturesque town of Dullstroom is most widely known as South Africa’s premier fly fishing destination, both the Walkersons Hotel & Spa estate, and the surrounding region boast an array of inviting Dullstroom activities. 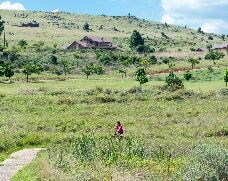 Ranging from long walks along contoured stream-side pathways, to saddling-up to explore the countryside, and spending a day honing your skills in the fine art of fly fishing, Dullstroom offers much in the way of things to do. 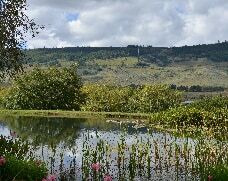 Dullstroom has become renowned for its excellent fishing facilities and is considered to be the fly fishing capital of South Africa. 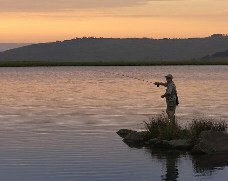 Walkersons, itself, boasts 14 lakes and dams, all stocked with rainbow trout, making the estate a fly fisher’s paradise. Both novices and experienced fly fishermen alike are invited to try their hand at fly fishing at Walkersons Hotel & Spa, and our guides are on hand to help any guests come to grips with the art of fly fishing. For more information on fly fishing in Dullstroom, make sure to visit our blog. For those who are keen to keep in shape while on holiday, the Walkersons Hotel & Spa gym is fully equipped with the latest and greatest in work-out technology. For cardio-enthusiasts, the gym features a rowing machine, treadmill, stepper and stationary cycle. For those interested in weight-training, there are a range of free weights available. The picnic basket arranged by Walkersons Hotel & Spa consists of a variety of delicacies to be enjoyed under the open-skies within the Walkersons estate, beside beautiful winding rivers or waterfall. We cater for all dietary requirements, and on your request we can set up the picnic spot for you. Beverages include water and juice and feel free to add a special bottle of wine or chilled champagne from our award-winning wine cellar to complete your picnic. 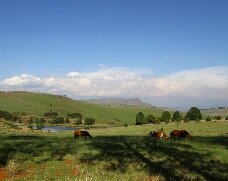 Dullstroom Riding Centre offers lakes, forests and verdant rolling hills, through which you can traverse. Dave Curtis offers a herd of well tempered, beautiful horses from which to choose. 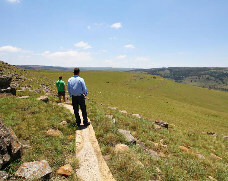 Whether it is a family excursion or a group event, horse riding in Dullstroom is an experience not soon forgotten. For group bookings at Walkersons we will be happy to help arrange a tee off time on your behalf. Please book well in advance to avoid disappointment. The course is often fully booked on weekends. With a fantastic location and a wide variety of activities to choose from, Field and Stream has something to keep everyone happy. The Wingers Bush Bar also provides great food and is an ideal spot for bachelor parties, family events and team buildings. The cold weather is an invitation to explore many a heart-warming possibility, and there are few things as good as a top of the range whiskey on a cold Winter’s day. Since 2006 the Wild About Whiskey Bar has kept the coziness of a boutique Whiskey Inn, while boasting the largest Whiskey menu in the Southern Hemisphere. With an extensive range of Whiskey tastings, Wild About Whiskey is a must visit attraction. While we wouldn’t suggest visiting the Brewery and the Whiskey Bar on the same day (the body can only handle so much! ), the Anvil Ale Brewery is another top Dullstroom hot spot not to be missed. Lying on the outskirts of Dullstroom, the Anvil Ale Brewery opened in 2010 and offers a wide range of beers and a daily food menu with locally-sourced delights. Beer tastings, confectionaries and a great coffee shop, you can’t go wrong with Anvil Ale. 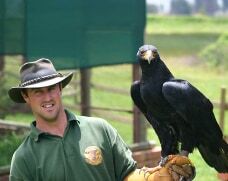 Their twice-daily flight displays, during which visitors receive dazzling, up-close encounters with South Africa’s most magnificent birds, will bring a smile to the lips of even the most serious animal enthusiast. 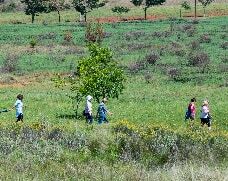 A stroll through the enclosures, marked with notes on the history of each animal, well-manicured gardens, kiddies playground, farmyard and well-appointed coffee shop is a perfect way to spend a sunny morning or afternoon in Dullstroom.